All teleconference recordings are approximately one hour long. Jenni will ​begin with a guided nature visualisation and then ​outline some of the key concepts she teaches in her environmental storytelling workshops. ​She will tell a Buddhist prophecy ‘The Shambhala Warriors’, which Jenni has come to see as a potent and apt tale for our times. Deep Ecologist Joanna Macy, creator of ‘The Work that Reconnects’, used the story extensively. It is also woven into The Joyality™ Program, which empowers personal and planetary transformation. ​After telling the prophecy and discussing it, she will discuss tales she has told at environmental rallies and community actions. Jenni will touch on the breadth of stories she sees as relevant to environmental education and empowerment and that they are not all about nature or environmental issues. Jenni will tell the story “The Shambala Warriors” made famous by Deep Ecologist, Joana Macy, as well as a few traditional and original tales she has told at rallies and protests. She will also share her experience of working with stories and outdoor labyrinths, an ancient form of walking meditation (distinct from mazes) and a powerful way to connect to place, especially when they are created with intention and outdoors. Dilemma Stories – stories in which there are several options, all of which have some appeal – stimulate conversations about different perspectives and open up ideas different from our own. Dilemma Stories can be included in discussions about empathy, citizenship, literature, social studies topics, indeed, any situation in which communication and understanding are valued. Sara shared some of the work of Charles Temple on dilemma stories for democracy, and Maria Asp’s and Jack Zipe’s work in having students immerse themselves in perspectives in stories. She offered stories and activities for engaging audiences in considering the dilemmas posed. This SEMINAR explores several practical techniques and story treatments that Donna has successfully used over the years through her work with communities in conflict, and in response to cross cultural misunderstandings. Drawing from Donna’s work in South Africa, Israel and Palestine, with indigenous and refugee communities in Australia – and as Program Director for “Together for Humanity”  This seminar is a mixture of storytelling and activities for listening, connecting and reflecting. It will be peppered with anecdotes and scenarios that will enable the participants to truly sense the nature of this work and ways to approach it. For tellers and professionals who want to make a difference. At a time in this country when the language and behavior of the incoming president, and that of his proposed administration, has encouraged a rise in racist and sexist behavior, anti immigrant fervor, climate change denial, and demeaning of minorities and the poor, many people are now seeking ways to effectively respond to this threat to our environment, democracy, and indeed the world itself. Nora Dooley will describe her program “Stories as Blueprints for Resistance,” and tell several stories (folktales) of challenges that have been faced bravely and wisely, in opposition to various forms of tyranny. Participants on the call are encouraged to add their stories to Norah’s, as she guides the evening into a “swap” which may be a model for how to encourage hopeful sharing in the days and months ahead. Laura Simms will tell a tale and use it as a touchstone for inspiring a meaningful conversation about how we are feeling at present and how we can be helpful to ourselves and others in this time of sudden potential change, even danger. This will be a facilitated workshop, not necessarily a talk. However, “it is my hope that following on our listening, and responding” we can engage in questions and answers about the application of this approach in our own healing work as storytellers. Sankofa: Fetching our Souls through Story. Sankofa 2016 – December is a time that we traditionally wind down and reflect on the past year and prepare for the new one to come. Sankofa is a word in the Twi language of Ghana that translates as “Go back and get it.” In the Asante Adinkra symbol represented either by a bird with its head turned backwards taking an egg off its back. The presentation will be on the need to go back and fetch our souls using story as one of the most precious tools we’ve been given. Aspects of Arthuretta’s PanaFest journey to Ghana will be woven into the presentation. Panafest is a cultural event held in Ghana every two years for Africans and people of African descent. 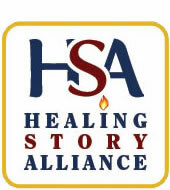 Tips, Tools, and Stories: Highlights from 15 years of Healing Story Work. In this teleconference, we’ll do a virtual mini-healing story session. I facilitate these sessions regularly in residential drug treatment programs, homeless shelters, domestic violence shelters, and beyond. My primary focus in the groups is to foster resilience, self worth, courage, forgiveness, strength, perseverance and other positive qualities. This approach to healing story is applicable in many environments. I’ll describe some of my challenges and rewards. I’ll also have handouts available with outlines of tried and true healing story sessions. My hope is that the teleconference will be inspirational and will empower you to look for opportunities to bring healing story to your own situations and environments. This teleconference gives you a sneak preview into some of the Healing Story gems that will unfold at the NSN Conference in Kansas City the third week in July. The focus of both HSA’s Wednesday night Concert and Thursday morning Pre-Conference is Social justice. Whether you plan to be in Kansas City or not this coming July, this is a chance to hear behind the scenes reflections from our HSA concert featured performers, Michael McCarty, Susan O’Halloran, Lilli Pang, Emily Lansana and Pre-Con facilitator, Lani Peterson. All are involved in storytelling for social justice, working towards the empowerment of disenfranchised voices. Come join our virtual panel as we all learn from each other’s story work in social justice arenas. What are the stories we tell? What are the stories we listen for? How can we address social inequities and create social change through storytelling? How are we changed by the work that we do? Living Out Loud. The exploration and expression of the self can be fraught with fear and anxiety. We are so often concerned with how our stories will be met by the world that we silent our voices. This teleconference discusses the things we fear: ridicule, judgment, failing, being vulnerable, feeling incompetent, being misunderstood and being shamed, how to release the destructive voices of our inner critics and connect with our full creative power and possibility. Then we share it – OUT LOUD. This teleconference featured some discussion and also interactive exercises and conversation. Learning to Care and Listen. Hear about how a story-based approach has informed the creation of a “Caring Corps” and Cindy’s work with 4th graders and their parents at a Boston area synagogue and school. Cindy teaches children skills in listening, interviewing and reflection while they learn about offering support through life cycle events such as baby arrivals, illness and loss. In this presentation Carol will described the Brave Life Initiative program, and shared her experiences and stories over the last five years, using storytelling and art layered onto the hero’s journey with incarcerated young women and girls, ages 12-24. Michael spoke of his work with the California’s Arts in Corrections program: Inmates learn the power of the art of storytelling. “But I don’t know how to tell a story” is a phrase I hear often at the beginning of my workshop – followed by the telling of a touching or humorous tale. Using a variety of story games, prompts and and Talking Story, they learn how to find, develop and tell their stories. AND have fun in the process. Lee Ellen shares from her experiences as educator and arts administrator for the Suicide Prevention and Crisis Service in Ithaca, NY., and specifically how she utilizes storytelling to educate the community and reach the populations in crisis, and support those left behind. The brain is a powerful tool that signals all systems within the human body. Can we direct those messages? Scientists are constantly looking at how the body shapes attitude and how attitude shapes the body. 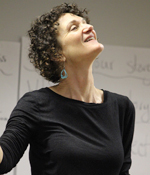 As a storyteller and healing story consultant, Lorna Czarnota has utilized the power of story in her own life and in this teleconference shares how the stories or narratives we tell ourselves, about ourselves, can change our rivers’ courses and set into motion the ripples that reach out to others on our shores. Perhaps changing our lives is as simple as changing our personal narratives. Lorna also touches on how personal myth building can help us navigate grief. Transforming anger into forgiveness through story. Through the lens of several folktales, personal stories and case studies, Elisa will illustrate the impediments to forgiveness, particularly looking at the many functions of anger. She will also suggest approaches for shifting our held resentment stories toward those of getting our needs met in healthier ways. Modern Life-Cycle Celebrants* are, above all, storytellers. They serve people who seek non-traditional ways to mark big life changes by creating unique ceremonies for them. Celebrants listen for the shining threads in a biography and weave them into a narrative to form the heart of a ceremony. Personal story informs each and every ceremony: weddings, baby blessings or starting a business, divorce, retirement, blending families or coming of age. On the day of the ceremony, the celebrant becomes the performing storyteller, presenting and guiding the event through her voice and breath. *Life-Cycle Celebrants is a designation for certified graduates of the Celebrant Institute, the gold standard for celebrancy training in North America. Mary’s memorable experiences telling stories to patients, family and those nearing the end of their life, as a visiting storyteller in hospice and palliative care settings. You will hear some of the stories that she uses when working on palliative care wards, as described in her recently published book, NOW I KNOW THE WORLD IS ROUND: Stories at the end of life. She will also discuss how through listening, she helps patients shape their own stories. Her stories celebrate the preciousness of human existence and the inevitability of death. This teleconference will be of interest to those seeking a greater understanding of how to listen, communicate and be with people who are nearing the end of life. “I want to help the environment, but I don’t tell Nature stories.” No problem. STORIES YOU ALREADY KNOW have messages about connections, responsibility, unintended consequences, and other basic environmental principals. Biologist/storyteller Fran Stallings will show the green side of familiar stories; help you find it in your own repertory; and consider whether (or how much) to emphasize environmental advocacy. We can also share tips for greening the lifestyle of traveling tellers (transportation, equipment, marketing, etc). The presentation describes the use of story as a very special caring component of BRIDGES: A Center for Grieving Children part of the Mary Bridge Children’s Hospital & Health Center in Tacoma, Washington. Regina and JoAnne discuss eliciting and developing personal stories into films about domestic/intimate partner violence. The vision for the films is to educate victims, to provide positive role models and to demonstrate the possibilities of life after abuse. The women whose stories have been featured in the films say that the telling of their story and viewing the films has been healing for them as well. Storytelling is the single most powerful tool to change perspectives from fear to hope. Learn Eva’s unique model for generating and crafting your story to create connections based on mutual values and universal emotions which fosters trust. Once trust is established, listeners will believe you and try what you recommend. Educate, empower and provide tools for healing through the art of storytelling. Kiran will share examples from his personal experiences in gathering and sharing story to promote healing and social justice within and between diverse communities and countries. With Liz Warren, Director of the South Mountain Community College Storytelling Institute in Phoenix, AZ and Marilyn Omifunke Torres, Professor at The Institute. Overview: The South Mountain Community College Storytelling Institute in Phoenix, AZ is at the center of a community of multicultural storytellers. The Institute offers foundational and advanced classes as part of a program that leads to an Academic Certificate in Storytelling. Liz Warren, one of the founders of The Institute, is known for tales that reflect the heroic journey of life – whether they are stories of growing up in Arizona, folktales, or myths from ancient traditions. Liz will share the history and growth of the Institute and describe it’s multicultural curriculum and degree program. Professor Torres is a multilingual traditional storyteller and as been an ordained storyteller of West African Yoruba Oral Tradition for over 33 years. She will share recent research and activities focused on the role of Storytelling as a teaching methodology for increasing critical thinking and interactive engagement in a learning environment. Over the past ten years Lani Peterson has experienced the privilege of running “Healing through Our Stories” groups for various non-profits, primarily in the Boston area. With each group, the client presentation has varied: homeless adults at Hildebrand Family Self-Help Center and the Women’s Lunch Place, populations at risk (including recently released prisoners and those whose lives have been touched by poverty or violence) through the Public Voice Project, those struggling with illness in themselves or their families at Dana Farber Cancer Institute and Boston Medical Center, and most recently with women survivors of domestic violence at the Saartjie Baartman Centre for Women and Children in Capetown, South Africa. She notes: “With each experience, my depth of understanding healing story grows, leaving me constantly amazed, challenged, stunned and moved by what unfolds.” Lani shares a few of the stories she carries with her and what she has and continues to learn from them. Having reached a stage where one can proclaim “I wasn’t born yesterday” presents an opportunity and challenge to explore the multiple dimensions of our unfolding legacies. Believing as Jonas Salk wrote, that one of our highest callings is “to become good ancestors” Liz and Bob provides a framework and suggests some questions that we as storytellers can use for ourselves or as tools to help others explore the deep waters of our legacy stories. Nancy Donoval is a nationally-touring professional speaker and storyteller with over 20 years’ experience. Her work has been heard on Minnesota and Chicago Public Radio and she’s performed at venues ranging from the National Storytelling Festival to the New York Society for Ethical Culture. She holds an MFA from Northwestern University and teaches at Metropolitan State University. Nancy helps others create good art about hard stuff with her workshop Laughing in the Dark: Using Humor to Turn Private Pain Into Public Art. Consciousness of the stories we carry – bits of experience and narratives we’ve heard and kept – is one step in anyone’s healing. Awakened to how stories work on us, we can assist others in opening to the treasury of tales within. Yet, always, we shy away from some tucked away tales: “Do I have to go there?” These too call for our loving attention. Marni will share glimpses of her own and her students’ tales becoming meaningful in the telling. Dr. Fred Luskin will share examples from his work helping groups of people to resolve conflicts and heal from tragedy through forgiveness. He will also discuss his research on the therapeutic effects of forgiveness and how he uses story to teach about forgiveness with his students at Stanford University. Elisa Pearmain, a member of HSA who shares a special interest in this topic is his host. Interfaith Story Circle of the Tri City Area (Albany, Schenectady, Troy, N.Y.) is a group that believes in the spiritual, moral and healing power of story for bringing about peace and understanding between people of different spiritualities and faiths. We will be celebrating our 20th anniversary in Fall of 2013. In this teleconference, Gert Johnson talks about their beginnings, basic information on how they “do” interfaith storytelling, some of the highlights of their journey and wisdom gained along the way. Storytellers, physicians, researchers working as a team turning illness narratives into stories for performance via the Hero’s Journey model. Joseph Sobol has been a crucial member of the team that designed and implemented the CANCER STORY project with physicians and healers at ETSU Medical School. During the project, Joseph’s father was dying of cancer which made his work even more penetrating and personal. One of the great outcomes of the program is the creation of learning modules for medical students to learn more about the needs of patients with cancer, in all stages of the illlness, by hearing their stories. All indigenous peoples have known that Story is a medicine, is at the very foundation of healing. Even contemporary experience affirms that medical interventions are enhanced when the afflicted ones recognize the story they are living, the meaning that can be derived from their suffering, and see the particular path that is theirs to walk to healing. Laura Simms and Deena Metzger, long colleagues and explorers of these very very old and so very new ways of bringing ease, healing and vision to individuals, communities and the suffering earth. In addition to being writers, story tellers and healers, Simms and Metzger share independent involvement with peace building in Africa and deep engagement with animals. Sydney talks about how to support mental health through yoga and story, including personal story, folktales as well as practical techniques of yoga and meditation to manage anxiety, stress, depression and prevent suicide. Yoga is the lifeboat and therapy; story is the compass and medicine. In healing story contexts, we serve as listener, as teller, or as both. Curiously, our society creates a distinct border at the moment that emotions are fully expressed. We try to shush each other or ourselves, or to distract from the pain. Yet, what lies beyond that border? Doug Lipman tells some of his experiences of willingly crossing that border – and of the benefits to himself and to those whose healing he assisted. What is healing story? Who is it for? Why is it important? Drawing from thirty years experience, Fran explores some of the answers to these questions as they appeared in her keynote from the New England Healing Story Conference delivered last June. Following her delivery, listeners were encouraged to share their own experiences, expanding the discussion of the past, present and future of healing story. Based on her work in Haiti training health workers, educators and parents working in camps and orphanages this presentation is about story, reciprocity and imagination as the means of accessing inherent presence and joy. Peace in the Family: A Family Educational Model Using Stories and Skills to Build More Peaceful and Healthy Families. Designed to bring comfort, joy and hope to grieving and ill children and the people who love and care for them.